One of Grant Morrison's most controversial, trippiest and abstract comic books ever is back in a second deluxe edition hardcover. This volume focuses Lord Fanny's past as a prostitute in Brazil, while King Mob leads the other Invisibles in a search for the missing Jack Frost. Then, King Mov is captured by his enemies and tortured mercilessly, while his past as a mod super-agent is revealed. 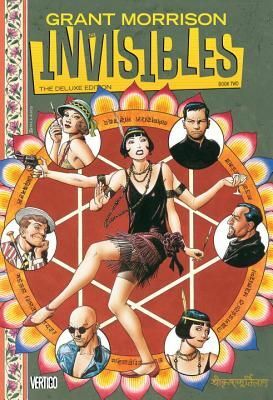 Collects THE INVISIBLES #13-25 and a story from VERTIGO: WINTER'S EDGE #1.